To promote the distinct philosophy of osteopathic family medicine through advocacy, education and leadership. Our specialty Society has provided professional leadership, excellence in education, and built strong community relationships. 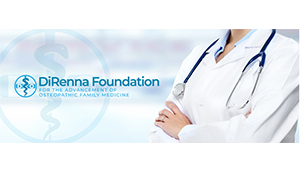 We invite you to join us as we advocate for the freedom to deliver care in the best interests of patients and health for all, promote leadership in the field, and advance the art of osteopathic family medicine.